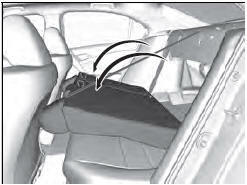 The rear seat-backs can be folded down to accommodate bulkier items in the trunk. Never drive with a seat-back folded down and the trunk lid open. 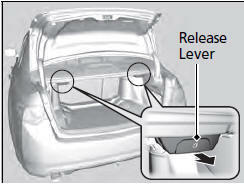 When returning a seat-back to it’s original position, push it firmly back. 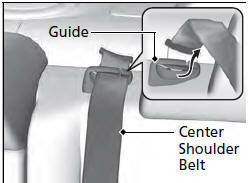 Also, make sure all rear shoulder belts are positioned in front of the seat-back, and the center shoulder belt is re-positioned in the guide.